As our high streets and towns have become saturated with so called ‘fast fashion’ outlets, a shift in opposition is underway. Indeed, the clothing market has grown to the extent that one may even pick up an entirely new outfit whilst completing the weekly grocery shop. However, today’s consumer questions whether contributing to the fast fashion cycle is in fact value for money, or costing more in the long run. In light of this, home sewing has enjoyed a surge in popularity. Historically, sewing has always been viewed as a useful and practical skill to possess. Today sewing has almost reached ‘cool’ status. Television shows such as the Great British Sewing Bee (which I hear a rumour is due to be back on our screens next year); have certainly facilitated this rise in status. In the show, each week sees contestants undertake various sewing tasks in order to eventually be crowned the winner. From pattern-matching and inserting zips to tackling sportswear, the tension experienced by the contestants is almost tangible. Across the pond, Project Runway has enjoyed 15 seasons to date, and clocked up an impressive number of awards. 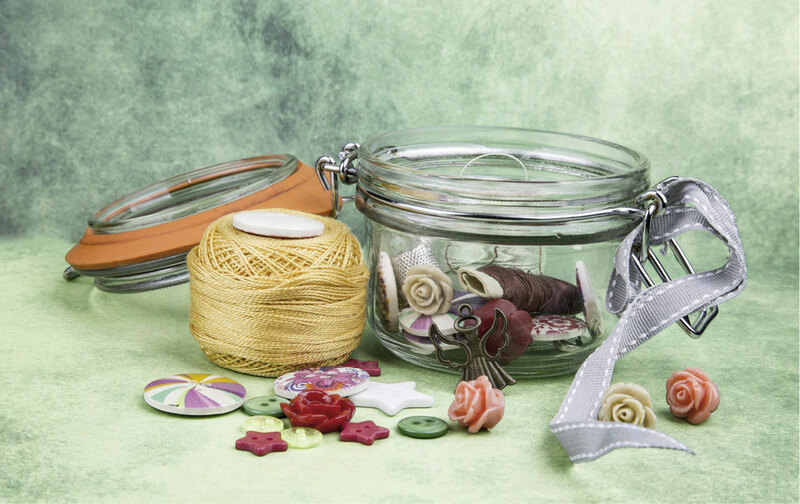 It is not just television that has perpetuated the rise in the popularity of stitching. Movies such as The Dressmaker (2015, Jocelyn Moorhouse, Universal Pictures) have also shone a cinematic spotlight on the craft. And who can forget Andie rather enthusiastically refashioning her prom gown from an existing gown in Pretty In Pink (1986, Howard Deutch/John Hughes Paramount Pictures). Social media sharing sites have made it easier than ever to browse sewing patterns reviews, find places to purchase fabrics and trims, or even discuss sewing techniques. Sew-alongs hosted by sewing pattern companies and bloggers are seeing growing numbers of participants. 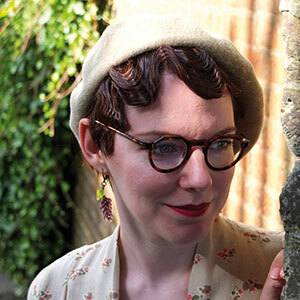 The Vintage Pledge organised by Marie of a Stitching Odyssey blog and Kerry of Kestrel Makes is a yearlong challenge, allowing participants to decide on their own personal pledge. Other sew-alongs of note include Me Made May, and the Big Vintage Sew Along organised by the McCall pattern company. With mainstream media coverage, sew-alongs, and social media sharing, it is easy to see how the craft of sewing has grown in popularity in recent years. However, it is not so much why it has grown in popularity, more why the peak of interest shows no signs of waning that interests me. For me, one of the most exciting things about sewing is the results it can yield. Indeed the craft possesses almost alchemistic characteristics – transforming metres of fabric into a garment, made to be worn, enjoyed and treasured. The allure of having complete control over fit, cut, design, colour, fabric, trims – these are advantages that are difficult to overlook. 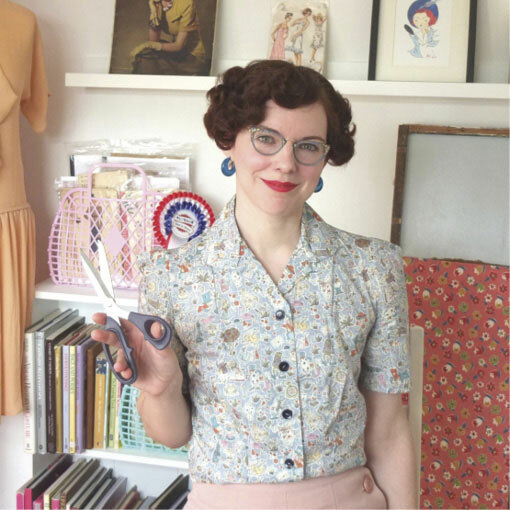 In terms of the popularity of sewing within the vintage community, it is easy to see why sewing has always played a sizable role. 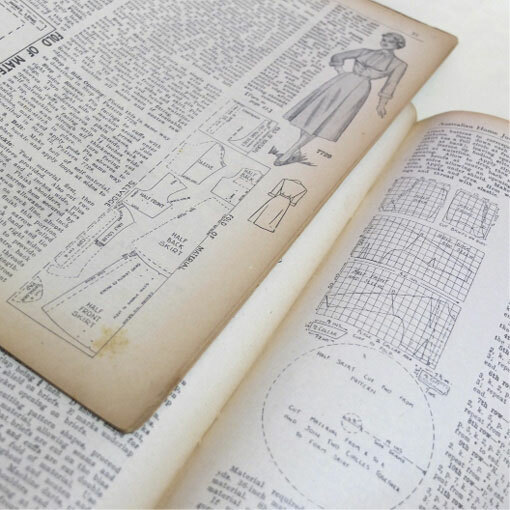 From the 1920s, early fashion periodicals would partner with sewing pattern companies in order to provide their readers with patterns to construct at home. This had the combined purpose of creating a sense of value for money in the purchase of the magazine itself, whilst quite literally fashioning an identity of the magazine’s readership. Today, as vintage clothing and original pieces become harder to find, and or beyond the financial means of many, sewing has again become a viable and enjoyable activity. 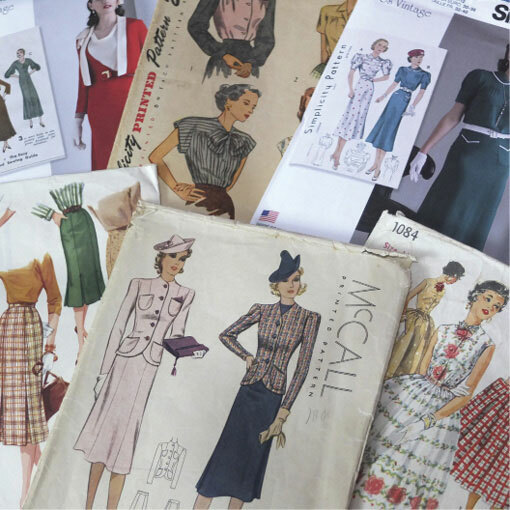 With many original sewing patterns still available, and a number of companies reproducing original patterns on stronger paper stock, the availability of vintage patterns is vast. Whilst a few searches online or a particularly lucky day out rummaging in antique stores may yield some lengths of original period fabrics, today the fabric business is awash with choice. Growing numbers of fabric stores are realising that today’s home sewers want to work with high quality fabrics. 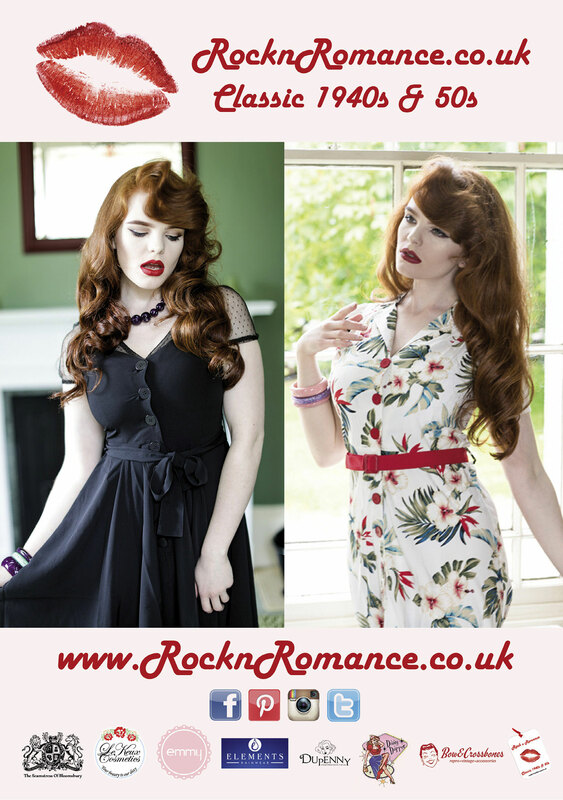 Natural fibres and materials with similar qualities to early rayons (such as rayon crepe and viscose) are popular options in order to recreate vintage styles. However, whilst sewing possesses the many advantages briefly explored here, above all these factors – sewing is fun. Creating unique garments in which the only confines may be your own imagination, then being able to wear or see the garment worn and enjoyed – there can be few crafts that yield such satisfying results. I for one have been sewing for years, and I certainly do not foresee my enjoyment of the craft declining. If you are interested in taking up the craft, online research can provide details of sewing classes in your local area. Alternatively, sites such as Craftsy offer many courses that can be completed from the comfort of your own home. Local colleges may offer evening courses, or there may even be a relative or friend willing to show you the ropes (or threads in this case). Above all, relax and enjoy it!